Wood flooring parquet evokes luxury – real and metaphorical one. Oiled, lacquered or unfinished parquet wood flooring offers comfort, which can’t really be compared to anything. Wood is a natural material and choosing it means bringing nature in your home. Wood flooring parquet creates warmth and feels amazing underneath your feet. 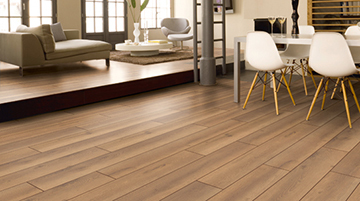 It also regulates temperature, so parquet feels warm in winter and cool in summer. Throughout the ages wood flooring parquet has been a sign of luxury and even today, homes with finished or unfinished parquet wood flooring sell much better, much faster and at a higher price than homes with other types of flooring! wood flooring parquet is among the most durable options on the market: with proper care and refurbishing it will last for generations! Unfinished parquet wood flooring can accentuate the character of your home. It’s perfect for modern homes, where we want to achieve a “raw” or distressed look. Unfinished parquet wood flooring is also perfect for rustic style. At Floor Experts’ we can offer you numerous stunning choices of wood flooring parquets and they all have some things in common: they are of an exceptional quality, durability and incomparable beauty!